Google now considers SSL – HTTPS to be a good ranking signal within Google search algorithms. Google has confessed that the HTTPS ranking will be strengthened in the near future and is lenient at the moment due to the grace time given in reference to the transformation from HTTP to HTTPS. Google calls for the change to improve online security. Currently we offer a few SSL Certificate solutions. 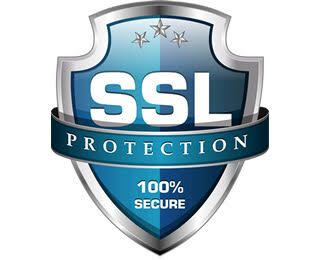 We have lowered our SSL prices for the Simple SSL Certificate fully installed. What is SSL – HTTPS? Hyper Text Transfer Protocol Secure, in short called the HTTPS is an advanced version of HTTP (Hyper Text Transfer Protocol). HTTPS is a protocol that is used to protect transactions that are dealt in eCommerce websites which includes shopping sites, banking sites, eCommerce checkout areas etc. The website bound with a HTTPS connection helps the user perform secure transactions, as the website encrypts the session with the SSL Certificate. When the website address starts with https:// then user can assume that the website is protected with the valid SSL certificate. SSL Certificates are compact data files that bind digitally to the cryptographic key of the website domain. On installation of the SSL Certificate, a secure connection is processed and established between the browser and the server. This encryption hence forbids any creepy interference of hackers while the data is transferred securely. With all this in place, Google is looking forward to notably increase the number of websites to get transformed from HTTP to HTTPS. Google says JUMP we say how high?